TIME TO GET BACK TO WORK. For Frank Castle death comes easy...life is where things gets complicated. Fully loaded with the Eisner winning writer Greg Rucka (Batwoman, Queen and Country, WOLVERINE) and neo-superstar artist Marco Checchetto (Amazing Spider-Man, Daredevil), the BIGGEST GUN of all returns with blood on his hands and vengeance in his eyes. As New York City's body counts continue to rise, the city's streets are teeming with more methodical criminals than ever and a police force doing it's best to keep its head above water. 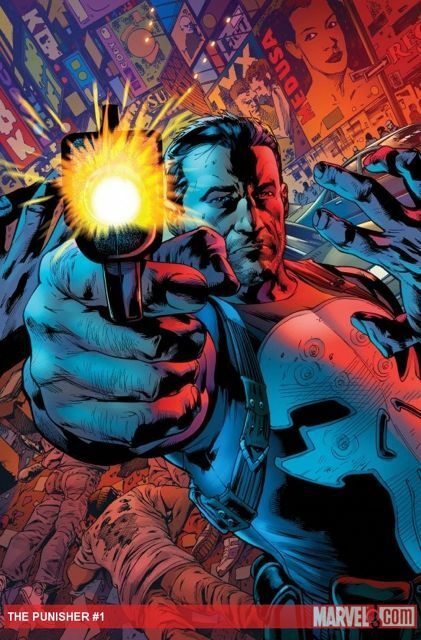 The Punisher has returned to serve his own brand of justice with everything's he's got... but can he survive the darkness stored in his own arsenal? Plus bonus pages exploring some of the new personalities in Frank's life...and how closely intertwined living is with dying.